In the lead up to Battlezone 98 Redux’s release, Rebellion have released a developer diary series, the first of which goes into detail about what kind of remaster this is. To be fair, ‘remaster’ does seem to mean different things to almost every videogame developer these days. Purists delight, as Battlezone 98 Redux retains everything you loved about the ’98 strategy classic, adding only things that will make it run better and look nicer on your modern gaming setup. 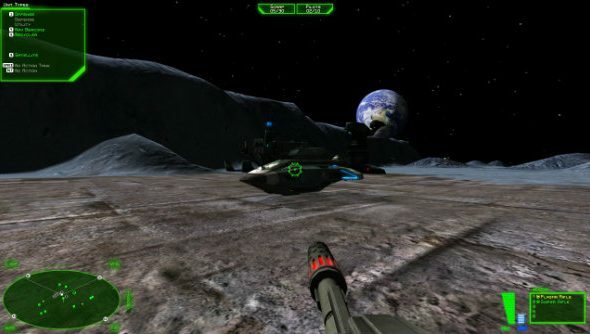 Battlezone 98 Redux is being built in its old engine, but with the aged parts being ripped out and replaced with modern features. All in-game art has also had a complete overhaul, and all vehicles and buildings were remodeled and retextured in high resolution. New shader work will provide a bit of shine to certain materials. Speaking of shine, there’s also a proper lighting system, so tank headlights will now illuminate the battlefield in real time. Modern shadows will compliment this lighting. There’s also a nice, tweakable HUD, so it’ll actually be readable on your expensive monitor, which is nice. With this all happening in the old engine, it means – after a bit of tweaking from the dev side – all the old maps are compatible with the Redux version, even old user-generated ones, which can be stuffed through a five minute converter and will come out the other side prettied up. Since those user-generated maps were such a huge part of the game, Rebellion are also looking to the future of mods, and as such, there will be Steam Workshop support. A group of map makers have already begun converting maps via Steam Workshop, so you can expect there to be content there on day one. Check out the full dev diary here. Battlezone 98 Redux is coming to Steam this spring.